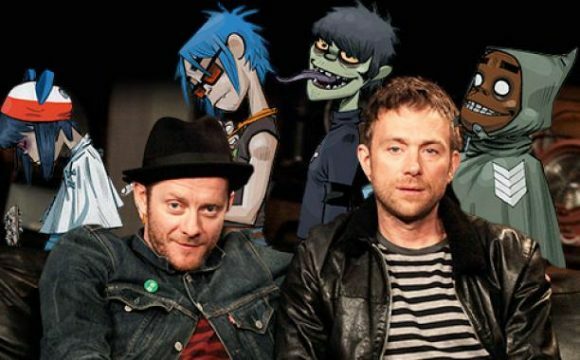 Gorillaz' Damon Albarn: "[The Album] Should Be Ready Fairly Soon"
The songs of English “virtual band” Gorillaz worked their way into mainstream music fans’ collective queue a handful of times over the course of the aughts, and they’ve even managed to retain a remarkable degree of relevance in the wake of the EDM explosion. Now that the dust has settled, they’re planning to release another album, and by the looks of things it’s right around the corner. During a BBC Radio 1 interview, founding member Damon Albarn spoke about several of his projects – including the upcoming album. With how Gorillaz‘ cartoon bandmates have been projected as holograms during previous stage shows, fans can likely expect mind-blowing stage shows to coincide with the album release in light of technological advancements. If you’re among them, keep on the lookout for a title, release date and track list in the months to follow.